Creatine Ethyl Ester (CEE) is a form of creatine that is attached to a fat soluble ethanol ester. This gives you 3g of pure CEE in each 6 tablet serving. This is ideal for all your workout goals, whether you’re trying to lift heavier or sprint faster. Consume 6 tablets daily. For best results take 30 minutes before exercise. Creatine Ethyl Ester HCL, Bulking Agents (Calcium Lactate, Calcium Carbonate, Microcrystalline Cellulose), Hydroxy Propyl Methyl Cellulose, Colour (Titanium Dioxide), Glycerine, Glazing Agent (Carnauba Wax), Anti Caking Agents (Stearic Acid, Silicon Dioxide, Magnesium Stearate). 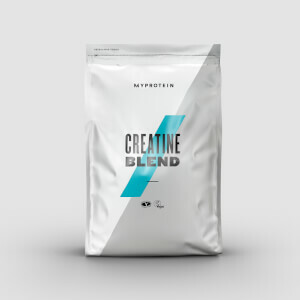 I have only used this product for one cycle so far, I previously used the CEE in powder form, which tasted like a thousand deaths, but the tablet form is amazing, there is no awful taste and if taken correctly, you can feel yourself pushing for more, I would recommend this product to anyone and have been to friends and family, really happy with MyProtein's products - I won't go anywhere else as nobody can beat their quality or value. Much prefer these tablet form of creatine over the powder forms I've had before. Tablet is small easy to swallow. I've been taking this for around 3 months now and can genuinely say I've seen improvements in strength. I've taken this along side HMB and Thermopure i can say i have seen results both in the mirror and mentally as i feel more awake and ready to fight the day . Decided to do 2x 2 week phases with and without these CEE's maintaining the same 6 day per week weight training schedule whilst doing progressive overload with 1 day cardio. Noticed a big improvement when using, especially with recovery time. Don't taste that bad at all to be honest, and are not as big as some reviews make out. No loading phase needed which is great. Size and strength to be revisited as not been using long enough to comment properly. A great buy! Take two with my pre workout drink and it's very effective. Excellent product. I was a bit apprehensive about how much these would affect my work out. Turns out they work brilliant. Feeling stronger and fitter, with an added energy boost will definitely order again in the future after this cycle finishes! Great product can feel the boost when training. Great product felt definite strength gains throughout my first 4 week cycle. Tastes slightly sour when taking them but they tablets are easy to swallow and so this is easy to ignore. Look forward to buying these again!